Has the System Been Serviced? An easy way to determine what kind of issues your air conditioner is facing is to schedule regular maintenance before and in addition to any repairs. This gives the technician a chance to look the system over and check for any specific damage that may have occurred. Maintenance also entails small repairs of the kind that wouldn’t merit a repair call on their own: things like bolts that have worn loose and cause the components to rattle in their housings or clogged filters which can slow down the flow of air through the system. 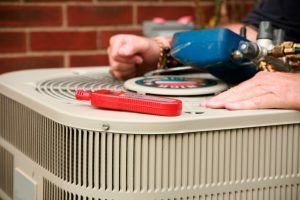 As a result, the air conditioner will function more effectively after maintenance—cutting down on bills—and if further repairs are needed, maintenance can detect those issues, allowing you to set up repairs when you like. Generally speaking, the sooner you get on repair issues, the better. If your system needs repairs, you’d do well to schedule them now, when you have the entire fall and winter to find a date that is most conducive to your schedule. For quality AC maintenance and repair in the Avon, OH area, call on Westland Heating & Air Conditioning today!